Rumour No. 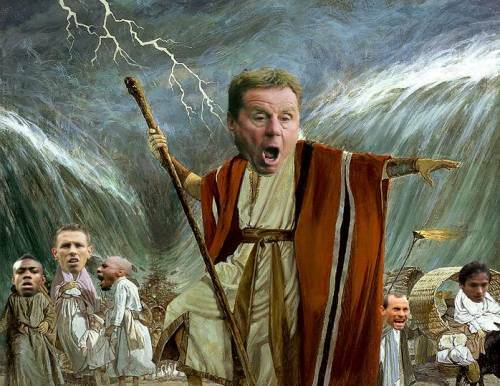 1: Man City are planning a mass clear-out in the summer and Tottenham boss Harry Redknapp is waiting in the wings. ‘Arry is apparently ‘ammering out deals to sign want-away striker Craig Bellamy and not-quite-as-good-as-he-used-to-be defender Micah Richards. The other players being linked to an Eastlands exit are as follows: Robinho, Stephen Ireland (more on that in a minute), Martin Petrov, Nedum Onuoha, Shaun Wright-Phillips, Sylvinho, Javier Garrido, Felipe Caciedo, Roque Santa Cruz, Michael Johnson, Patrick Vieira and Benjani Mwaruwari. Rumour No. 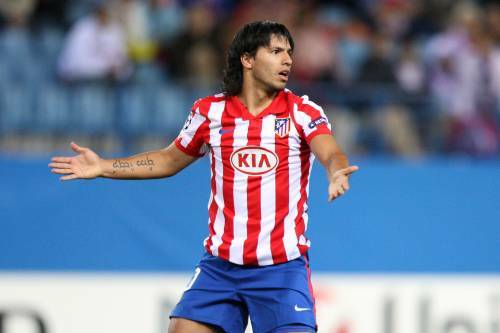 2: Manchester United are planning to enter the race for Atletico Madrid star Sergio Aguero by lodging a firm £35 million bid for the striker before the World Cup gets underway in June. United are hoping a large cash bid will tempt cash-strapped Atletico into parting with their talismanic striker before a continent-wide bidding war is sparked for the Argentinian. The Best of the Rest: Barcelona are planning to offer Bojan Krkic in exchange for Arsenal left-back Gael Clichy. Liverpool are to steal a march on Chelsea, Spurs and Arsenal by offering £3 million for 18-year-old Charlton midfielder Jonjo Shelvey at the end of the season. Manchester United and Everton are to go head-to-head in the race to sign Dutch prodigy Bob Schepers. The 17-year-old winger currently plays in the Eerste Divisie with SC Cambuur-Leeuwarden. Speaking of Everton, The Toffees are also said to be tracking €10-million-rated Getafe striker Roberto Soldado, formerly of Real Madrid. Aston Villa are ready to take £9-million-rated Stephen Ireland off Man City’s hands, and manager Martin O’Neill has also sounded out three other Irishmen as potential summer signings, namely Spurs’ Robbie Keane, Wolves’ Kevin Doyle and Celtic’s Aiden McGeady. Sunderland are also said to be preparing a £8 million bid for Spurs striker Robbie Keane. Paris Saint-Germain are a raid on England for either West Ham’s Herita Ilunga or Portsmouth’s Nadir Belhadj. West Brom are to offer to keep Jimmy Bullard in the Premier League but the Hull man will have to take a significant pay-cut. Wolves, Wigan, Celtic, Derby, Ipswich and Coventry are known to be interested in Scunthorpe striker Gary Hooper. New Bristol City (and former Reading) manager Steve Coppell is to make Stoke (and former Reading) striker Dave Kitson his first signing at Ashton Gate. Sell Berbatov and recoup around £20 million and then sell Anderson as well so as to gain another £20 plus Tosic out for anything around £10 million plus sell Obertan for another £10 million. Then a joint £50 million deal with Valencia to bring David Villa and his mate David Silva to Old Trafford. Plus the spare £40 to sign Sergio Aguero. Also please sell Ben Foster and possibly Tom Kuszczak to fund a summer move for Hugo Lloris or Igor Akinfeev from Lyons and CSKA Moskow. You having a laugh fell! these estimations area joke only utd would pay this money for those players! Complete shower!